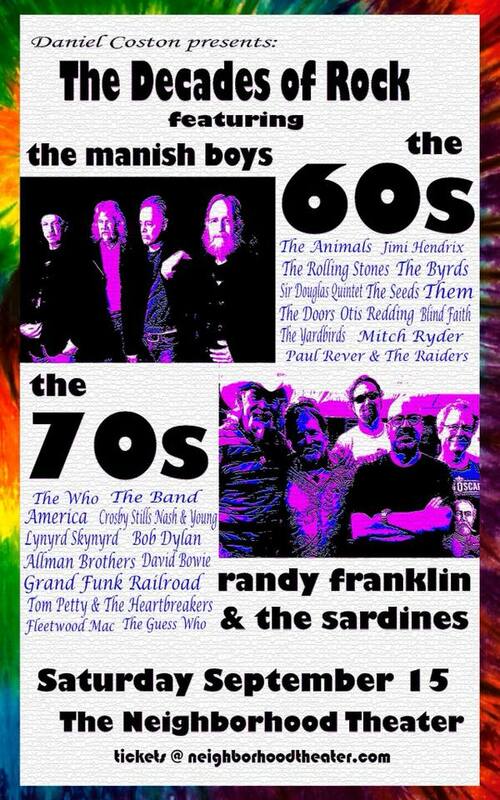 Some of you have asked if I had plans to bring back the CLT 60s Reunion shows. With that in mind, I'm starting a new series, named The Decades Of Rock. At the Neighborhood Theatre on September 15th, Jake Berger and the Mannish Boys will take you through the 1960s, and Randy Franklin and the Sardines will take you higher through the 70s, and beyond. You wanted a Rock Show? You had a Rock Show! Spread the word, and see you there. Venus And Mars will be alright, that night.